This month we are celebrating "St Paddy's Day - Extended!" at Madisons New York Grill & Bar in Boca Raton (close to I-95). The last event here was June 2014, so it's time to party here again. 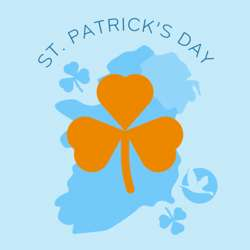 This time wear something "St Paddy" green to extend our InterNations celebration of St Patrick's Day! Our event will be held in the large outside covered patio area by the restaurant entrance exclusively for InterNations! We will enjoy extended Happy Hour pricing on drinks and an interesting array of bar appetizers. Trivia: On this date in 1885 Eastman manufactured the first motion picture film, and Ludwig van Beethoven died 1827 in Vienna! Please ensure that everyone, including partners, individually clicks on the "RSVP" button for this event - this gives us more accurate attendance numbers. If you RSVP, and are subsequently unable to attend, please "Cancel" your attendance, using the InterNations website, or send Jon Fay or Claudio Marcel a message - thanks. Directions: Glades Road west, turn right at the first lights onto NW Executive Center Drive, and immediately right onto NW Executive Center Circle, continuing a short distance and Madisons is on the right. - From Florida Turnpike take Glades Road east and continue about 15 minutes, passing Town Center Mall on right, after which turn right at the second lights (before I-95), and immediately right onto NW Executive Center Circle, continuing a short distance and Madisons is on the right. There is self parking around Madisons.